There’s no way around it: the best way to navigate the financial aid process successfully is to do your research beforehand and become knowledgeable. All that preparation pays off (quite literally) in the end. Preparation includes taking full advantage of opportunities while in high school. Perform to your highest level in the classroom. Participate in extracurricular activities. Serve in leadership roles whenever you can. Engage in community service projects. Take on responsibilities at church. Do all of these things—first and foremost because they are the right things to do—and they will prepare you well for the future. They may also result in additional scholarships and grants as colleges recognize your accomplishments. Be sure to select institutions that are the right fit. Research schools carefully. Look at graduation and retention rates. Evaluate loan defaults. Compare test results and job placement rates. There is more to a school than football games and intramural sports—be an educated consumer! Sources of financial assistance include institutional aid (merit- or need-based funds supplied by the school), state and federal government grants and loans (nonprofit lending and need-based grants), and private sources of aid (such as scholarships sponsored by organizations). It is critical to take the time to understand each source and, more importantly, the process employed by that source. The government requires all schools to review the Free Application for Federal Student Aid (FAFSA) to determine financial need. You and your family should complete the form as soon as possible after October 1 in the year before you wish to start school, using the previous year's tax returns. Additionally, most colleges and universities require an institution-specific supplemental financial aid application. Some also require completion of the College Board’s CSS/Financial Aid PROFILE. Unlike the FAFSA, the PROFILE includes a filing fee, so be sure to confirm that your intended institutions actually need to see the PROFILE before sending a copy. Deadlines and requirements for all these forms vary, so ask a lot of questions and keep track of key dates and facts. Many private sources of aid are also available. These include service clubs such as Kiwanis, Lions Club International, Rotary International; private foundations, church groups, nonprofit organizations, and employers. A number of lending institutions provide parent loans and alternative loans to help fund the cost of college as well. Check with your high school guidance office, as well as the financial aid office at the college you plan to attend, to begin your search. A word of caution: avoid consultants and companies that offer to find financial aid for you and/or “guarantee” scholarships. In most cases the cost of these services does not match the supposed benefit, so beware. And with your own intrepid searching, there’s no need to pay someone else! Each state offers financial aid to its residents. Some assistance is portable, meaning that it will transfer to an out-of-state college, but most state assistance is limited to in-state attendance. Some require additional applications; some do not, so take time to understand what your state offers and requires. Finally, the greatest source of funding available to college students is the federal government. Types of assistance include grants (assistance that does not need to be repaid), loans (some with interest paid by the government while you’re in school), and work-study. 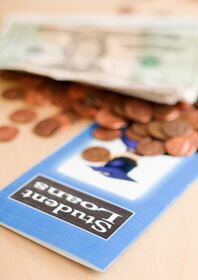 For a comprehensive list of what is offered and an overview of the application process, go to http://studentaid.ed.gov. If you or your parents have served in the military, assistance may be available through Veterans Affairs at www.gibill.va.gov. Be certain to let your network of family and friends know that you are actively seeking help. Even if they don’t have the means to assist personally, they may know an organization that does. Give people an opportunity to partner with you. It’s a good idea to present your need to the church community, which may have funds available—sometimes there is money set aside just for that reason! The full cost of tuition, fees, books, and room and board for most students is rarely paid entirely by a student or the student’s family. Keep this in mind as you research colleges and universities. Don’t make decisions based on sticker price—understand the out-of-pocket, or net, cost—and don’t shop for the cheapest option. Some families approach the college selection process as if they are bargain hunting and seeking the best deal. This will frustrate you, and it certainly will not endear you to the admission or financial aid office. Because you’re making an investment in your future, after all sources of assistance are applied to the cost of attending the institution of your dreams, you may need to consider a student loan. Options include Stafford, PLUS, and alternative loans. Also, some loans feature forgiveness programs, where your remaining balance will be “forgiven” (basically, erased!) after a certain number of years in fields such as teaching and public service. A college education will unveil enhanced employment and service opportunities throughout your life. Although the price of attending college is high, the cost of not attaining a college degree is even higher. Therefore, approach your financial aid options as if you are making one of the safest and most profitable investments available in the marketplace. Just be sure you understand the terms of your investment—and choose wisely.